Kickass Torrents was a website that facilitated peer-to-peer file sharing via the BitTorrent protocol. It provided a comprehensive directory for Torrent files and magnet links. The KAT website became popular to the point of outranking The Pirate Bay. However, Kickass Torrents was shut down by the US Government on July, 20th 2016. On July 20th, 2016, the United States Department of Justice confirmed the seizure and closing down of the Kickass Torrents domain names KAT.cr, kickass.cr, kickasstorrents.com, kat.ph, kastatic.com, as well as kickass.to. In the same token, Artem Vaulin, a Ukranian national, and alleged owner of the Kickass Torrents was indicted by the U.S government for copyright infringement. He’s currently fighting against extradition to the USA. Hence, Kickass Torrents remains down. Since the KAT closure, mirror sites keep popping up every other day. However, they all seem to be fake. I’ll share some of the best Kickass Torrents alternative sites that you can use to download your desired torrents in 2019. But first, we need to discuss the legality of torrenting. Downloading a torrent file is not illegal. However, what amounts to illegal activity is when you download copyright protected material without permission. I know you are like “its online, how’d the owner get me?” Simple, your IP address could help the copyright owner to zero in on you. A VPN could be helpful in the circumstance. However, not all VPNs work perfectly to protect your online activities. 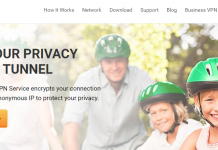 To be safe, you require a competent VPN service like NordVPN which does not log your online sessions. We’ll discuss more on the best VPNs for torrenting at the end of this article. For now, let’s walk you through the best Kickass Torrents alternative sites. The Pirate Bay is the leading torrenting website. After the demise of Kickass Torrents, The Pirate Bay remains as the best alternative torrenting website. 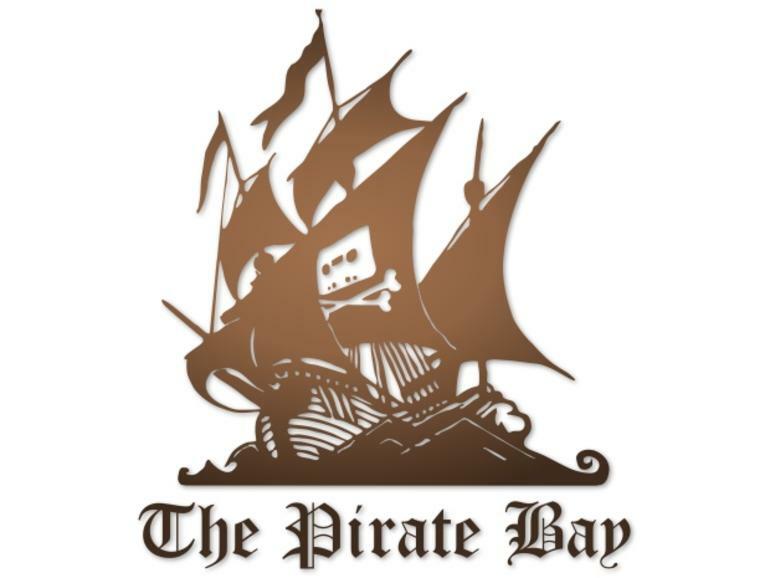 The Pirate Bay has become synonymous with torrenting. Hey, but they deserve it. Pirate Bay has a vast selection of indexed torrents. And, they do not comply with DMCA notices. As a matter of fact, whenever the torrent site goes down, it causes lots of panic in the torrenting community. And Google is overwhelmed with searches like “is The Pirate Bay Down?” Others search for the “best Pirate Bay alternatives.” That goes to show you the popularity of The Pirate Bay. However, if they continue going down at the rate we are seeing, they may lose ground to the many able alternatives. Established in 2008 in Bulgaria and now in Amsterdam, RARBG is a leading torrenting website. It provides a wide range of torrent files including movies and TV shows. The site is gaining popularity since its torrents are of high quality. Indeed, RARBG is becoming a more acceptable alternative to not only the defunct Kickass Torrents but also The Pirate Bay. The Pirate Bay is still the supremo where torrenting is concerned. However, the site has of late been going down time-after-time. RARBG receives a chunk of traffic too. In fact, it was said to get over 300,000 daily visitors. However, the Torrents site is blocked in the United Kingdom, Finland, Denmark, Australia, Ireland, Pakistan, India, Indonesia, the United Arab Emirates, Saudi Arabia, and Morocco. 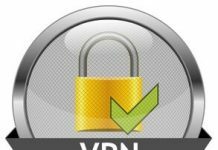 A VPN could be helpful for those in the blocked regions. 1337x is a peer-to-peer file sharing website established in 2014. It is a direct beneficiary of the Kickass Torrents demise. 1337X is among the most popular torrenting sites in 2018. Many people like it because it’s user-friendly, does not serve annoying ads, and its security is top-notch. In 2015, the torrent site was banned from the Google search queries following a complaint by Feelgood Entertainment. To evade the ban, 1337x moved swiftly from the .pl domain to their current .to domain. If you are seaching for the best Kickass Torrents alternative site, 1337x could be your perfect choice. TorrentFunk is a peer-to-peer file sharing website that features a clean and user-friendly interface. Furthermore, the torrent site does not serve annoying ads for its registered members. However, they do serve some non-intrusive ads for unregistered members. The site is clean without viruses and malware. In fact, according to WOT, TorrentFunk is safe to use. Although this may be true, I’d still advise you take precaution like having a competent antivirus solution whenever you access not only TorrentFunk but also any other torrenting site. 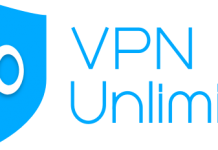 A VPN is also a must to ensure that your downloading activities are not traceable back to you. To sum up. I’d say, TorrentFunk is on the right path to becoming the best alternative to Kickass torrents website. YIFY features the best torrenting website interface that’s appealing to the eye. The Amsterdam based torrenting site specializes in movie torrents. The videos are in the Blu Ray format which is of high quality. They allow you to choose the quality of your video downloads. Moreover, they have a search box to help you with their vast sorting options. However, it’s not the place you can expect software and other types of torrents. Popcorn Time is a revolutionary app that’s causing sleepless nights to content creators. First, it is similar to streaming websites such as Netflix and Hulu. Second, it has an extensive collection of movies and TV shows just like the leading premium streaming services. The difference between Netflix and Popcorn Time is that Popcorn Time uses the BitTorrent protocol and as such it’s absolutely free. Inasmuch as it’s free, it’s largely considered illegal. Popcorn Time works with all the major platforms ranging from Windows, Android, Linux, and OS X. It is available in more than 44 languages. In 2004, Popcorn Time was taken down by its developers owing to immense pressure from the Motion Picture Association of America (MPAA). However, the site resurfaced with the popcorntime.sh domain. Torrentz2 is a torrent site that continues to get more visitors with every passing day. This may be since the site is easy to use and enables the searching of more than sixty other torrenting sites. Thus, it offers you the opportunity of getting a wide selection of torrent files ranging from music, TV Shows, movies, anime, games, and many other torrent downloads. The TorrentZ2 website seems free from malware and viruses. However since it allows you to search other third party websites, you need to be careful. Also, it’s wise to use a VPN and be anonymous when browsing Torrentz2 and other Kickass Torrents alternative sites. If you are searching for a Kickass Torrents alternative, iDope could be of help. The new torrenting platform is capturing the attention of torrent user’s worldwide. I think many people like the fact that iDope allows the sharing of torrent files straight from their smartphones. In the like manner, the platform enables the sharing of link magnets via social media platforms. Besides, iDope supports voice search, and it does not track its users. The website features enormous, diverse, and well-organized torrent categories that includes movies, TV shows, adult content, books, and much more. To sum up, iDope is revolutionizing torrenting by harnessing the latest technology. Though new, it surely has a bright future. Lime Torrents is a torrenting platform thats touted from many quarters as a worthy Kickass Torrents alternative. The site was established in 2009 and is easy to use as it features an elegant interface. It’s free from malware, viruses or annoying pop-ups which makes it a perfect Kickass Torrents alternative. Lime Torrents is popular in countries such as Japan, China, Korea, India as well as the USA. The site does not store any torrent files. However, it enables you to find a wide range of torrent files including animes, apps, TV Shows, movies and music. Dirty Torrents completes our brief discussion on the 10 best Kickass Torrents alternative sites. Neither being the last on my list nor its name “Dirty Torrents” should be construed to mean it’s a useless torrenting website. First, Dirty Torrents is user-friendly and features well-organized categories. Second, it is free from malware and viruses. However, the site does not store the torrent files but enables you to identify other websites where you can download all sorts of torrents. Kickass Torrents was founded in November 2008. In a short span of time, Kickass surged in popularity to become the undisputed BitTorrent Directory Champion. Indeed, in 2015, the torrenting website was estimated to receive more than 1 million daily visitors. Users came from all walks and corners of the world. The man alleged to be the owner of KAT was none other than the Ukranian national Artem Vaulin. Because of Copyright infringements, Kickass Torrents became a thorn in the flesh of many governments and copyright agencies across the world. And the battle to bring the torrenting site down escalated. However, Kickass Torrents proved stubborn. They would move to a different domain anytime they suffered blocking. In fact, there came a time when they would change their domain every six months. During its launch in 2008, its domain name was kickasstorrents.com. On April, 21st 2011, they moved to kat.ph a Philippine domain. 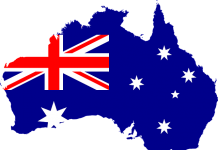 In 2013, they moved to kickass.to, a Tonga domain, and in December 2014, further moved to the Somali domain kickass.so. If you think that’s it, you are wrong. In April 2015, they moved to the Isle of Man domain name kickasstorrents.im. They later moved to kat.cr, Costa Rica based domain name. All the while, they were facing blocking from different quarters. In the UK, Judge Richard Arnold ordered the UK ISPs to block KAT because its design contributed to copyright infringement. The torrenting site also suffered blocking from Google following the MPAA’s request. Similarly, Belgium and Irish ISP’s blocked Kickass Torrents. The Malaysian Communication and Multimedia Commission followed suit blocking KAT for reasons that it violated copyright laws. 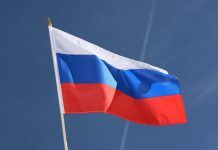 It all ended with the USA’s seizure of the Kickass Torrents domains and the indictment of Artem Vaulin, its alleged owner. As promised, here’s the summary of the best VPNs for torrenting that effectively protects your torrenting and other online activities. CyberGhost is another reliable VPN service that allows torrenting. 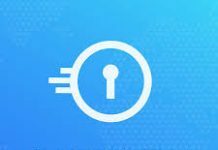 Its base in Romania is among the best VPN privacy locations in the world. May I just say what a comfort to discover an individual who genuinely understands what they’re talking about over the internet. this side of your story. I can’t believe you’re not more popular given that you definitely possess the gift. What’s up to every body, it’s my first visit of this website; this web site includes remarkable and in fact good information in favor of readers.